A few years back email was deemed to be the best way to reach customers, however, over time customers have become accustomed to filtering through emails much like we do with the junk mail that lands on our door mat. When coupled with spam filters and Gmail’s promotions folder, email is becoming an increasingly harder way to reach customers. Monitoring the results of your email marketing campaigns and making adjustments to your strategy is the only way you can improve the effectiveness of your emails. After all, if your email campaigns aren’t getting the clicks, what’s the point in putting in the time and effort to run them? 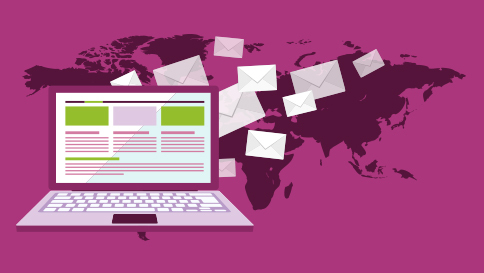 Let’s take a look at a few reasons why your email marketing campaigns are not delivering results and what you could do to improve your email marketing strategy. Not understanding your audience and their interests is a sure fire way to create an ineffective email campaign. When you truly understand your audience and tailor the content of your emails to match their interests you will start to see great results from your email marketing. What may be of interest to one group of customers, may not be of interest to another group, consider splitting your email lists into different interest groups. Many marketers are using segmentation and retargeting to gather information on customers to enable them to personalise email messages. If you know that one of your customers has purchased a particular product in the past, they may be interested in the related product you are about to launch. Understanding your customers’ behaviour will help you target your messages to them more effectively. You could have the best marketing message in the world, but if your databases are out of date then what’s the point? Keeping your email marketing lists updated with new information will ensure that the intended people are seeing your emails. Investing in lead generation software will help you keep on top your email lists and help you to check for outdated information. There is one sure thing that will make me reach for the unsubscribe button and that is being bombarded with emails. It is much more effective to send a customer information they are likely to be interested in rather than filling their inbox with emails that don’t excite them. If you think you may fall into this category, monitor how many people are unsubscribing from your emails and adjust the frequency you are mailing customers. These are just a few of the reasons why your email marketing campaigns are not delivering the results, if you would like to discuss your email marketing or what Blackberry Design could do for your business, get in touch on 01527 517309 or fill in our contact form.